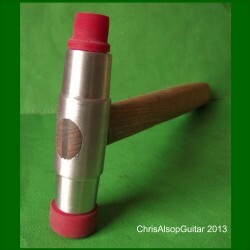 Fretting Hammer with 3 faces: 15mm, 20mm, 24mm Polyurethane Rubber Faces, designed and manufactured by Chris Alsop. 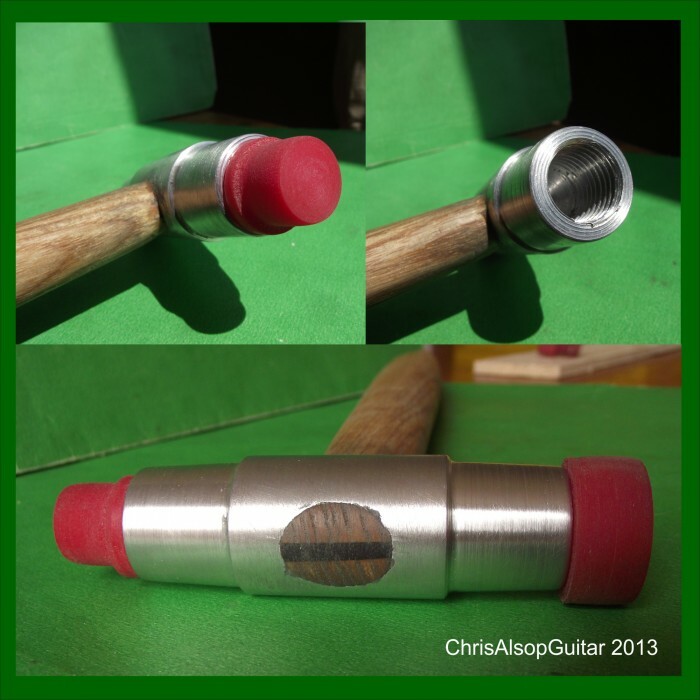 This hammer is supplied with three faces that are screwed into the aluminium head of the hammer. The heads are 24mm, 20mm and 15mm in diameter allowing widely spaced frets and the narrow spaced high frets to be accessed easily. It weighs 160g. The hammer is 280mm in length. The hardwood handle is made from close grained Ash. It has replaceable heads that are made from hard polyurethane rubber (shore 90 on the hardness scale). 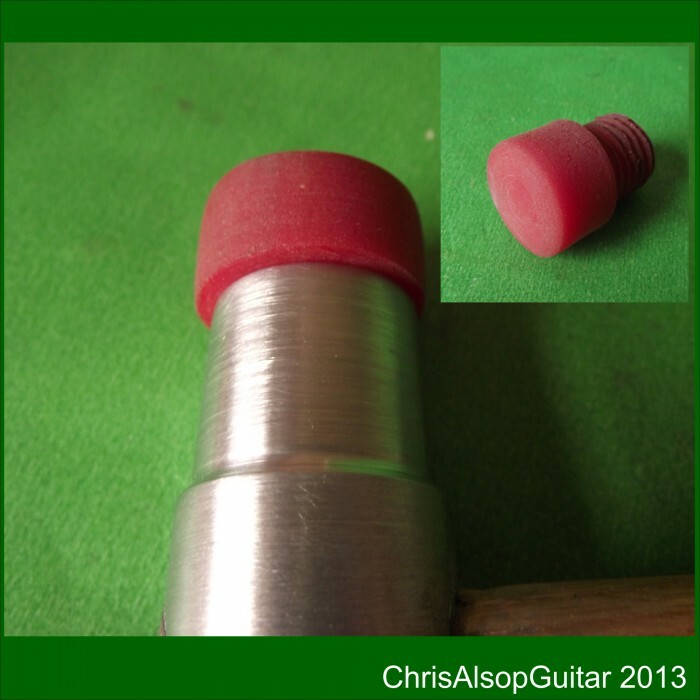 The main body is made from aluminium bar tapered down to 20mm each end, drilled and tapped with an M16 Coarse thread. About half the weight (80g) is in the body and half in the handle, which results in the centre of gravity about 1/3 the way along the handle from the head - this is ideal for simultaneous control and ease of use. 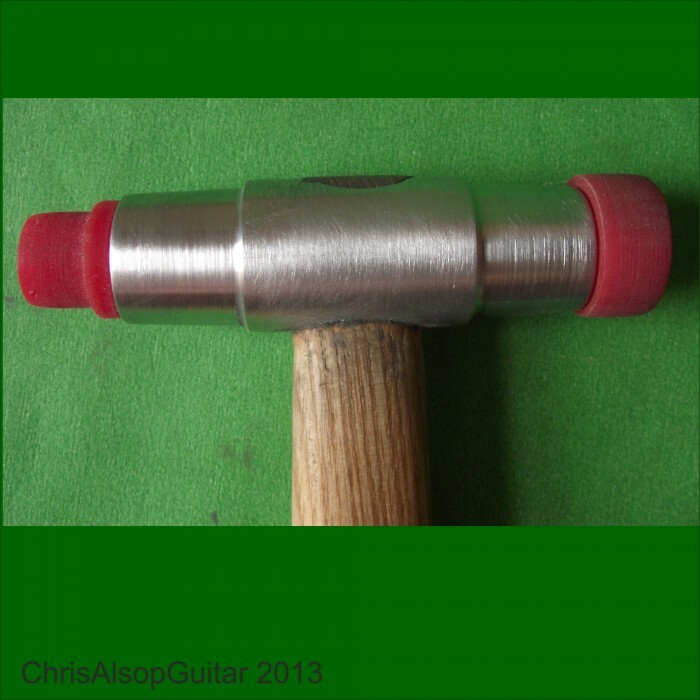 The eye (the hole in the hammer head) of the hammer is properly milled such that it is a conical oval shape wider at the end allowing a 2mm wide hardwood hammer wedge to be used to secure the head safely. 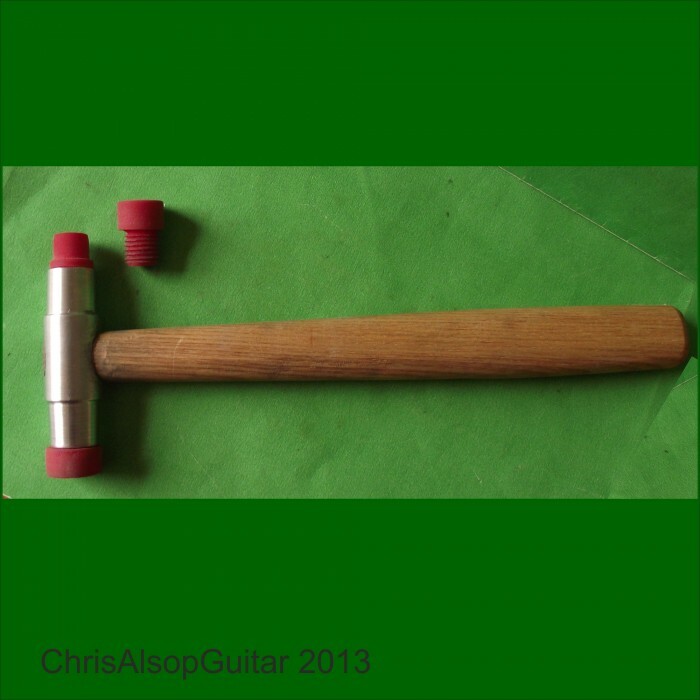 Traditional hammer design and craftsmanship is used throughout and the hammer stale is particularly robust for a hammer this size, which adds to the strength and comfort in use. The hammer is made by Chris Alsop, in his Woodville Guitar workshop, to a design that is tried and tested for accurate fret installation. 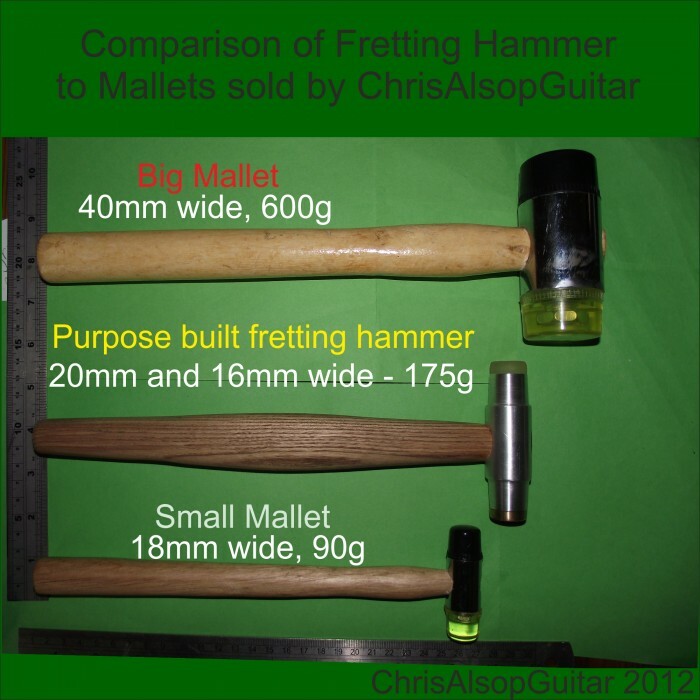 Re-Fretting Tools: To help decide the best fretting hammer (made in house by Chris Alsop) or mallet (panel mallet made by "AmTech" - proven OK for fretwork) for your fretwork a picture is included showing all three that we sell together.